This is the first minor league card I've seen that looks retouched. "Airbrushed" would be an exaggeration, so let's call it "eraser-brushed." Very halo-like! 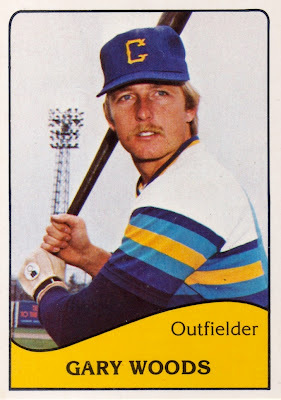 TCMA produced two distinct styles of minor leaguers in 1979. This is the "black-and-white" version, which looks cheaper (and clearly costs less) than full-color cards from the same year. I suspect that TCMA offered both options to minor league teams (black-and-white for $, color for $$) and the team decided which one was worth their advertising dollars. 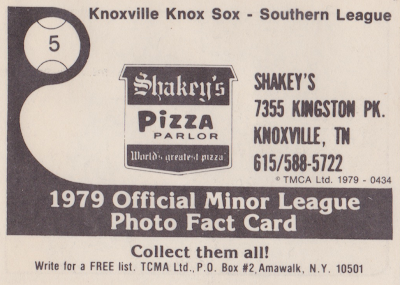 Speaking of advertising, #5 Richard Barnes lost his personal info and stats to a spot for Shakey's Pizza Parlors. 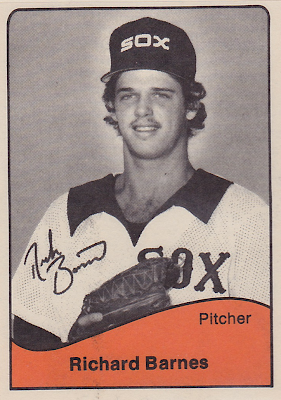 For the record, he was born in Palm Beach, FL, on July 21, 1959 and started pitching rookie league ball at only 17 (minor league stats). 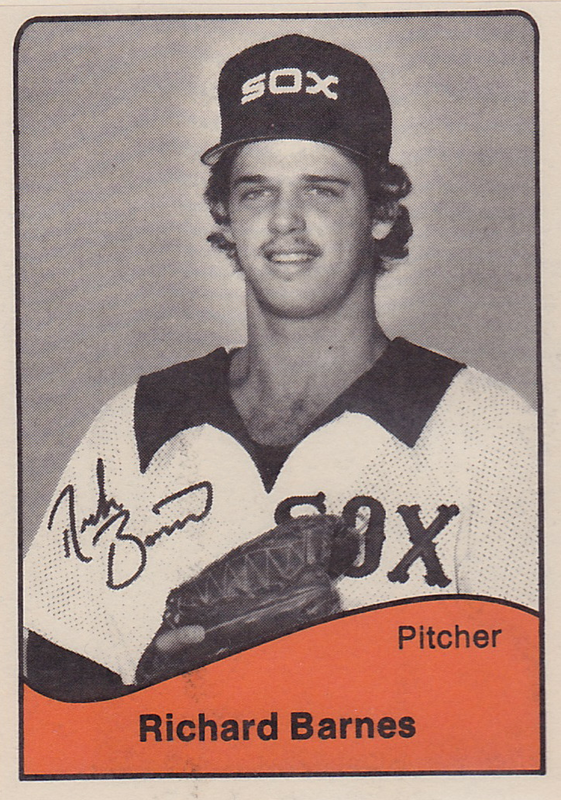 He debuted in the majors for Chicago in 1982 and won his only MLB game for Cleveland on September 10, 1983 (box score). Value: Most minor league singles cost a few dollars. 1979 was the last year that the Chicago White Sox had a team in Knoxville. They were here for eight years, starting in 1972. Shakey's Pizza has long gone away. The location is still in the food business. Ray's Entertainment Sports Grille now sits at 7355 Kingston Pike. And the local AA team has moved out of Knoxville as well.